We stayed in Hostel 64 during our overnight stay in Osaka. The accommodation was a Youth Hostel and was by far the cheapest option for us to stay during our time in Osaka. The only other option was share accommodation or the nearby hotels, which exceeded our budget by a lot. We booked a private room, but we had to share the toilet facilities and the kitchen area. Finding the place was a bit challenging initially, as the building is hard to identify (especially if it is dark and rainy, which was what we were experiencing.) We were able to find the accommodation with the help of some locals. Below, we have provided a map showing how you can get there from the train station. We frequently used offline maps service maps.me to help us get around. The option with the GPS tracking was very helpful, but could be limited at times when the GPS tracker wasn’t working. The guesthouse seemed to be friendly. The night we arrived, they were actually conducting a sushi party for guests. Many of the guests were young, single travellers. So if you are travelling as a couple (or as a married couple), then the environment may not be suited to you. 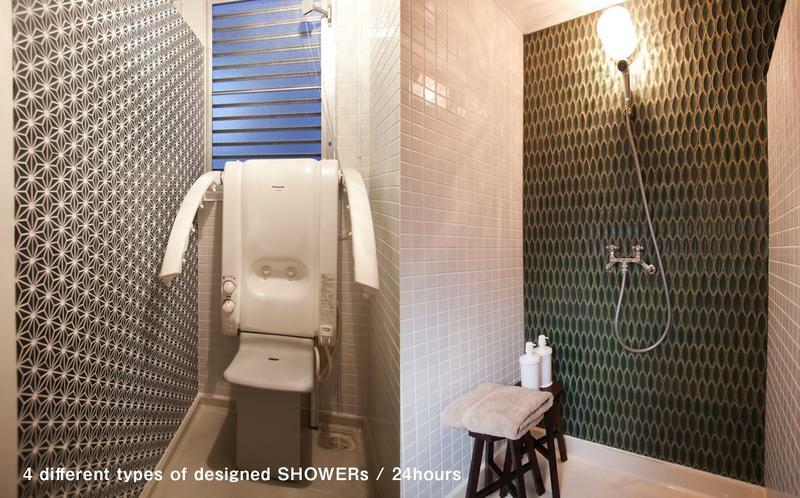 The shower is in a kind of cubicle where you have the option to wash and sit on a chair. You have to bend down and crawl through a square hole to enter the shower. Hot water is limited as well, so you need to be one of the first people in before the other guests queue up and use all of the hot water. 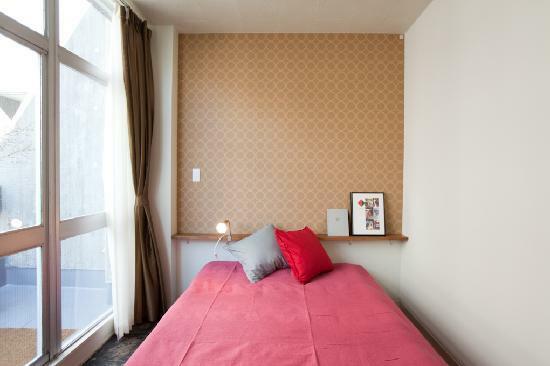 The accommodation’s proximity to the main landmarks around Osaka city is really convenient. You can easily walk to the main shopping district and around the city. We stayed during winter and it was cold. The room had a heater, but we struggled to keep warm with the blankets and the heater. Ensure that you take thermals with you to keep warm and keep a hot water bottle nearby if you can. Their social area also offers books and interesting information about the area. This type of accommodation I would recommend more to the single traveller than for couples. 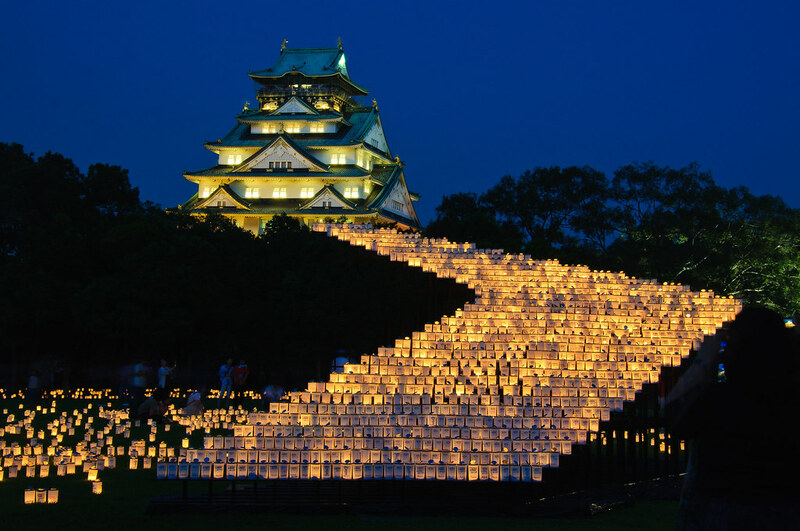 But if you are looking for a cheap and cheerful option, then this will be one of the best options to consider during your stay in Osaka. I recommend booking the accommodation as early as possible as the rooms and beds tend to sell out quickly, leaving you with no other option than to go into the more expensive hotels. We booked using Agoda.com and we saved around 50%. You can check out any deals that they may have using the link below. If you have stayed here, we would love to hear your thoughts.